Posted in: Hair Salon. Tagged: hair dresser, hair salon, hair stylist. When is the last time you went down to the salon to have your hair done? If it’s been awhile, then you’ll want to go back soon. 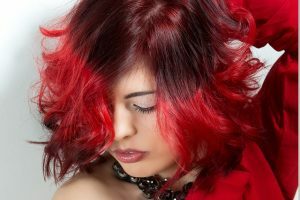 There are many reasons why you should go to a professional hair salon on a regular basis. Below are a few of the many reasons. A salon has experienced stylists who are trained to provide a range of services. Not only that, but they have likely worked with many clients, which means they can make expert recommendations for your hair, colouring services and things of that nature. The bottom line is it’s wise to go to a salon regularly because they have the expertise you don’t possess. With expertise, you have peace of mind knowing the job will be done right. If you want your hair styled and cut a specific way, then a salon is where you want to go to. They will get your hair exactly how you picture it. At home, there’s only so much you can do to your hair and this is another reason why you should head over to a salon. At a salon, various services are offered and this may include things such as deep conditioning, hair straightening, scalp treatments, professional eyebrow waxing and keratin treatment to name a few. Different salons offer different services, and some salons may offer specialty services. Let’s face it, the services offered at a salon are far more extensive than what is available for you to do yourself. Another reason to visit the salon regularly is the equipment used at the top salons. The equipment at the best salons are up-to-date and of high quality, which means whatever service you receive will be of the utmost highest quality. Sure, you can purchase your own equipment and supplies, but if you want the job done right and of high quality, then you want nothing but the best equipment. This is especially the case if you are having something done to your hair. It doesn’t matter what the equipment is, it has to be maintained well and it has to be the best. The products available to the public aren’t really up to par with equipment-grade salon products. Usually, this is the case. Make sure to choose a good hair salon to go to. Research various ones in the area. After you do this, schedule an appointment with the one you think is the best.